Storage. On Site. In Sight. At Hand. Your best pharmacy shelving solution is the one that provides dense storage capacity, easy access, and good visibility. With Spacesaver’s flexible Pharmacy shelving, we can help you make the most of your limited space, whether it’s in your bulk, IV, unit dose, robot-ready, or outpatient areas. 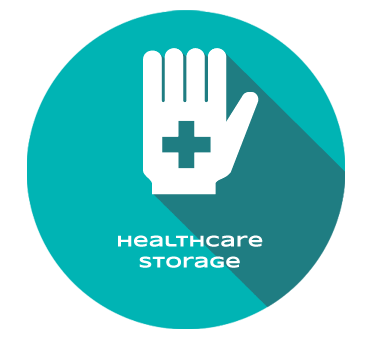 We offer solutions that help you better organize and manage your medication supply and security, and improve your workflow by giving your staff fast, direct access to medication storage. 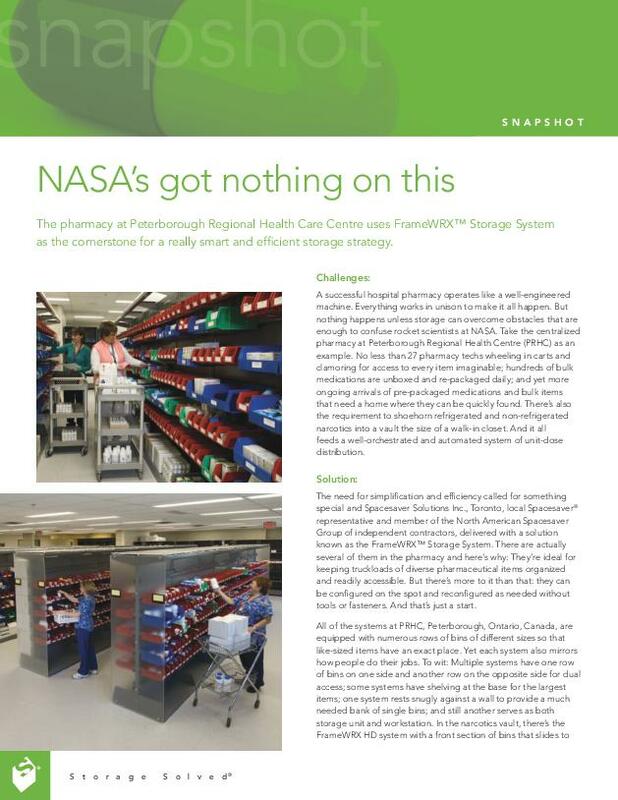 The flexibility of our Pharmacy shelving solutions enable you to easily adapt and update your pharmaceutical storage as often as your needs change. Our high-density product offerings can help organize your bulk storage areas, saving space for other applications, helping achieve USP 797 compliance, or supporting growth within the pharmacy department or the hospital. 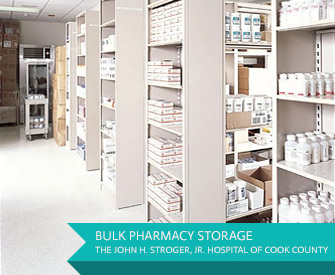 An inventory of large packages and containers in your bulk pharmacy storage can take up a lot of much needed space. Our compact shelving systems keeps you organized, accommodating your broad mix of containers and packaging. 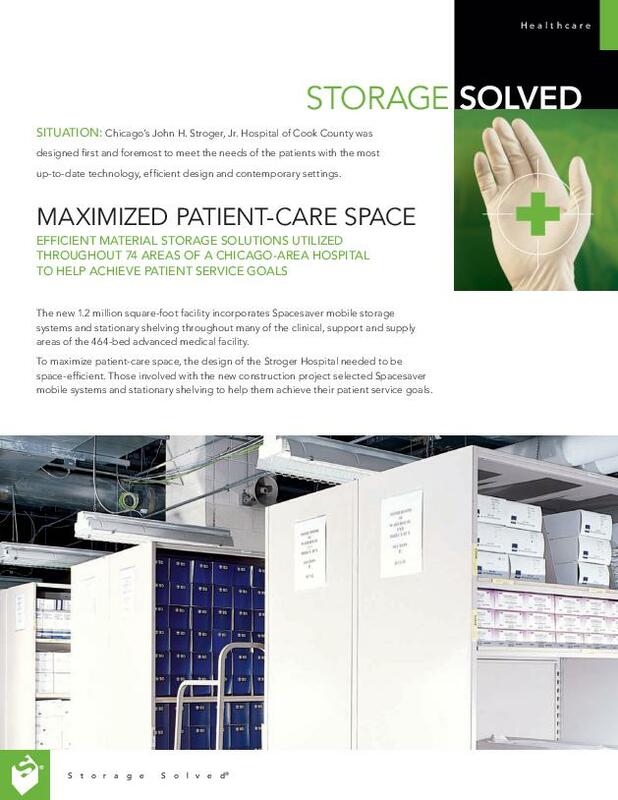 And turns wasted aisle space into productive medical storage space. FrameWRX Storage System, one of the most adaptable medical storage systems available, is highly modular and fully flexible — perfect for your changing needs. Hang storage bins, tray-style shelves and pegs to maximize your medication storage. Use the integrated work surface option to place your workspace within your storage space — perfect for unit-dose picking areas. 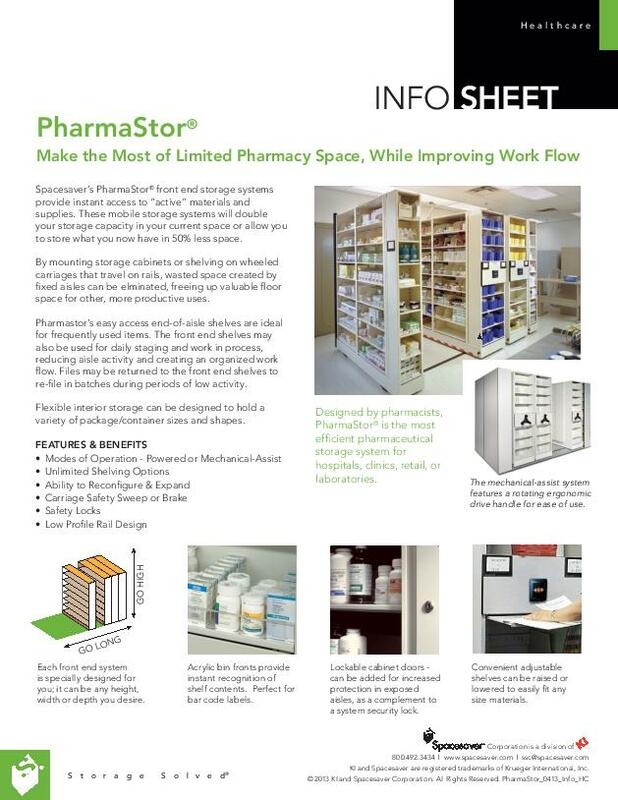 Optimize your workspace and change Pharmacy shelving as your needs change for your patients. This unit dose storage solution provides dense storage, utilizing the space as efficiently as possible, allowing you to keep drugs in their own bin or on their own peg or tray, to help eliminate errors. 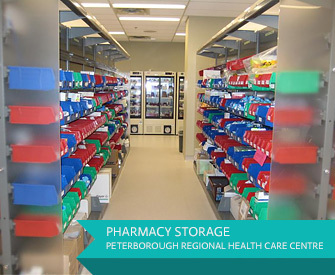 We can even store your robot-ready medications. Spacesaver can evolve with you, especially as regulations, needs and spaces evolve. For example, we can help you achieve USP 797 compliance. Using our pharmacy storage, solutions you can store more in less space; we can help you create the space for a sterile mixing environment, for manufacturing your drugs within your existing floor space. What about special drugs that require special storage? 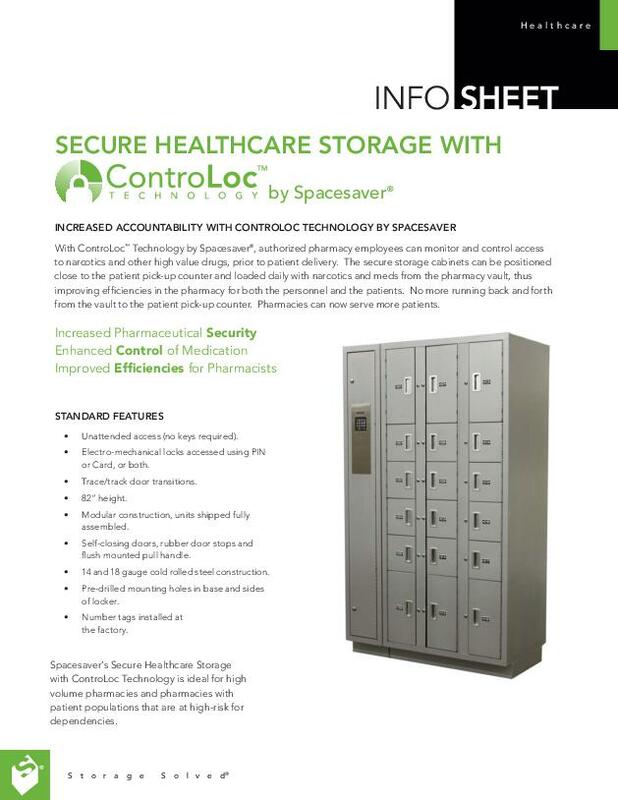 To meet necessary security for your narcotics we can help you with our locker storage products and powered compact shelving systems integrated with audit trail tacking technology!